SMOOTHAND FLAT: The piece can be cut from a flat sheet with a saw; it will be the same thickness through out. The saw can also be used to cut any decorative patterns. CURVED: Sheet metal can be annealed (softened)and then curved or shaped by the use of different stakes and metal or wooden blocks. THREE DIMENSIONALS: If the piece has some areas that will be thicker than others ,it can be made using any casting technique or thicker sheet metal and wire. PATTERNED SURFACE: A patterned surface can be applied to the sheet metal before it is cut out or shaped, using a rolling mill, hammers, or punches. DECORATIVE SURFACE: Wires or smaller pieces of metal can be applied to sheet metal, before cutting or after shaping. FITTINGS AND FINDINGS: The fittings and findings are the ear posts or clips ,pin fittings, chain fastenings, jump ear ringss, toggles, and so on. These are usually the last piece to be added to any other type of constructions. As well as the methods of constructions, you need to think about the order in which they will happen. for example, setting the stone in to a piece of jewellery is always the last thing to do apart from the final polish. Every thing else should already be in place. The reason for this is that few stones can withstand heat from soldeear ear rings or immersion in pickle. THE METHOD of constructions often dictated by the design .there may be several parts, each constructed differently. Plan which must be made first and how they will fit together. 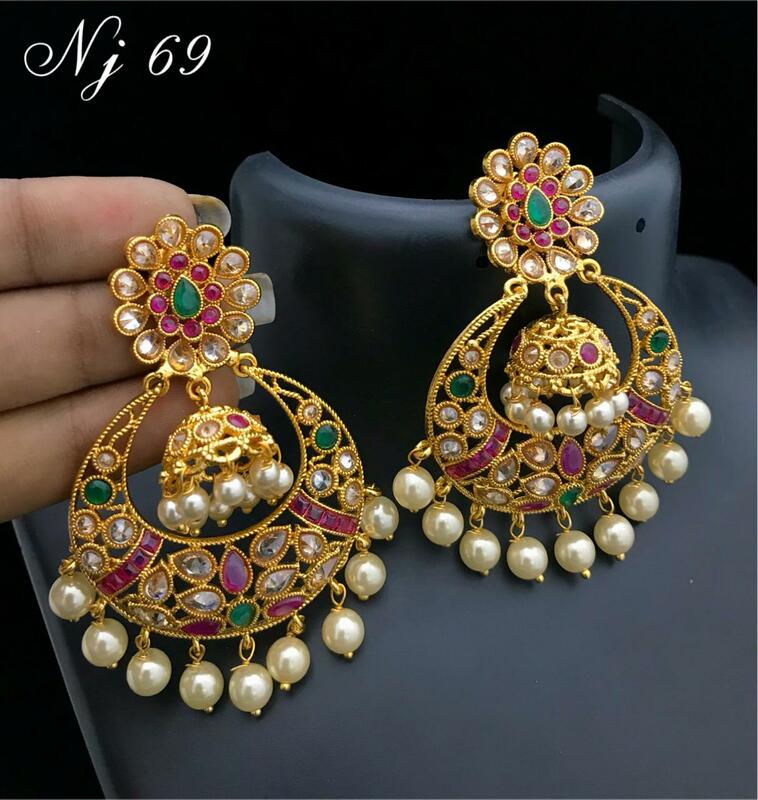 1.the ear rings may be made of separate parts- in this case, the ear rings comprises four parts .first draw the round shank of the ear rings to scale. the top is formed from a shaped and textured disk . make scale drawings of this from above and from the side to show how it curves. 3.Wire decoration is to be added to the shaped disk. Make a drawing from above to show the exact placement of the wire. A bezel is soldered to the centre inside of the disk . Draw this to scale . The series of drawings shown here are very specific- adapt the method to suit each piece you design. 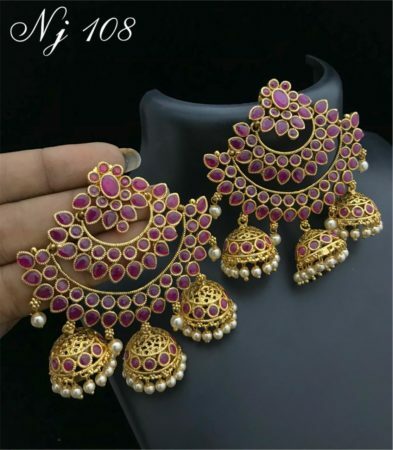 How ancient times imitation jewellery makes?